Premier Debt Help has been offering consumers debt relief services since 2008, specializing in debt settlement services to help debtors find the path to financial freedom. Premier Debt Help seems to understand the financial burden many Americans suffer from and has provided debt settlement services available to each consumer within the 50 states. The company provides a staff member who works with the clients’ creditors to negotiate a settlement reducing the total amount of debt owed. No upfront fees are charged, or should ever be charged from a debt settlement company, as the federal government rule now bans upfront fees. The process requires the debtor to set up a third-party escrow account where the funds necessary to negotiate a debt will be saved, along with the funds required to pay for the company’s assistance. The company charges 20% of the total debt being settled. Their aim is to help clients settle debts at under half of what they owe. Founded by an attorney, the company understands the complexities associated with debt and has the expertise and influence necessary to execute debt settlements. They claim excellent debt negotiation results, reasonably quick debt resolutions, and the success debtors are seeking, all backed by a money back guarantee (minus the monthly amount charged by the bank itself to hold the funds). The company requires clients choosing to enroll in their program to have at least $7,500 in unsecured debt, which is reasonable, as we have seen many companies requiring a minimum of $10,000. Premier Debt Help offers a free consultation with a debt relief professional. In this consultation, you will be presented with an explanation concerning the debt settlement process. Factors concerning each unique financial situation will be assessed to determine if Premier Debt Help’s services may be of benefit to each consumer. If it is determined that debt settlement is not the best solution for the debtor’s financial strain, staff members will politely point them in the right direction. In today’s market, we see a broad range of debt settlement companies each with their own marketing technique and sales tactic. Other than services being provided in 50 states, they do not have many attributes setting them apart. Although they communicate how their staff members are highly trained, we would like to see some company dedication by getting their team members accredited with AFCC (American Fair Credit Council) and IAPDA (International Association of Professional Debt Arbitrators). It provides consumers with assurance that their financial representative is backed with the certification training required to handle such business. Aside from the lack of certifications and accreditation to team members, nor do they have a rating, further raising questions as to what consumers have to say about the company and their services; positive or negative. The company website does little to provide educational tools to their site visitors and lacks many of the educational materials we have seen within some of their competitor’s sites. From our experience, the staff is exceptionally professional and prompt to respond to any questions or concerns, but it seems some of the general information concerning debt relief and the process, fees, prices, etc. could be listed on the website to save time and hassle on both ends. Although they do provide a blog, it is severely outdated, with the last post being on March 2, 2015, and many of the links are unavailable or broken. Premier Debt Help provides a service many Americans long for a path to financial freedom. Although they offer their services across all 50 states, there are not many other attributes setting them apart. A few factors are influencing us to lean away from their services, such as their lack of accreditation within several fields, such as the AFCC, and IAPDA. Taking advantage of their free consultation may not render an unpleasant experience, but we recommend looking at other, higher rated companies in the industry to help you with debt settlement. How Much Does Premier Debt Help cost? A flat rate of 20% of debt after debts are settled. Premier Debt Help makes it clear that they won’t take a penny from you until all your debts are settled. Here’s how it works: Premier Debt Help works with your creditors to negotiate a settlement deal to pay off your debts. At the same time, in a third-party escrow account, you build up the funds to pay off the adjusted amount (with Premier Debt Help’s assistance, it’s usually under 45% of the original debt). You also raise the funds needed to eventually pay Premier Debt Help (an additional 20% of your debt). After all, debts are settled and Premier Debt Help has been compensated for their services, you’ll be finished with the program. There are no up-front fees for those enrolling with Premier Debt Help. When you’re already in debt, the last thing you need is another bill to pay. Premier Debt Help offers a free consultation with a debt relief professional. In this consultation, you will be presented with an explanation about how debt settlement works in general and if it could work in your unique situation. If debt settlement is not the best solution for your financial problems, they expressed that you will be guided in the best direction for you. Does Premier Debt Help Offer A Money-Back Guarantee? If you decide to cancel before completing the program, you will be able to keep all funds accumulated in the third-party account. What Types of Debt Does Premier Debt Help Work With? They can settle unsecured debts from credit cards, personal loans, lines of credit, medical bills, collections or repossessions, business debts, and IRS debt or back taxes. They do not settle lawsuits, utility bills, mortgages, or other secured debts, including the following loans: automobile, government, student, and home loans. Premier Debt Help has offered its services to help debtors find a path to financial freedom since 2008. The company specializes in debt settlement services. PDH is set on 100% satisfaction for its clients. 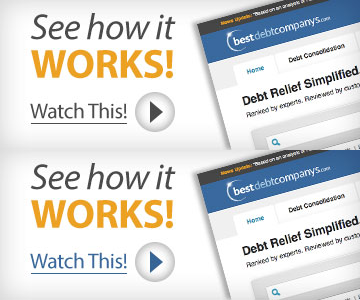 The company’s website contains some useful information explaining debt settlement and other options for debt relief. They also have a page warning against scams promising debt relief, detailing common tactics that are characteristic of such scammers. They have a blog featuring articles about smart credit use, news about interest rates, and questions people have when they’re in the middle of settling their debts. However, the blog isn’t updated often, and the website doesn’t have the comprehensive training materials and tools we’ve seen from some other companies. For specific questions, calculations, and concerns, you’ll need to rely on a debt counselor when you call in. We would like to see a much better debt education offering from them. Premier Debt Help’s website is functional but outdated and there is not a mobile friendly version or app. There are blocks of text on the homepage that are mistakenly repeated and the minimum debt accepted on the site is not current. Even the name of the company itself seems to be in question on the “FAQ” page. They have a Facebook page and blog, but neither has been updated in the last year. There is no cancellation fee or penalty for discontinuing enrollment with Premier Debt Help. However, it is advised that customers stay with the program until their debts are paid off. Paying off your debt may seem like an insurmountable challenge, but it is an important step to take and will bring great relief. With a debt settlement program, you stop paying your creditors for the first few months as you begin accumulating funds. Then, you can begin making smaller monthly payments to your creditors, paying off the amount that has been negotiated by Premier Debt Help and your creditors. Debt settlement is Premier Debt Help’s area of expertise. If you decide on debt settlement, your credit score will probably decrease, but it will only be short-term, and the debt relief is a promising pay-off. With time, you can rebuild your credit. The minimum debt amount that Premier Debt Help will work with is $7,500. Generally, individuals seeking debt settlement will be at least $1,000 under on each of their credit cards. Before banking on their debt settlement program, be sure to educate yourself about the subject as much as possible. No, there is no online dashboard for customers. As with most debt settlement companies they do not offer as many extras for their clients. A dashboard is a nice feature for those that want to stay connected to their settlement team and their account information. No, they are not AFCC or IAPDA accredited. By submitting this form, I consent to receive calls using automated technology from Premier Debt Help at the number provided and understand this is not a condition of purchase.